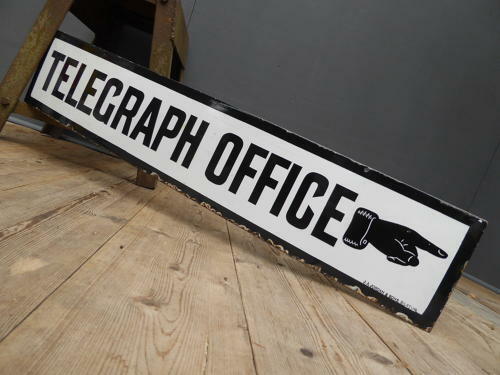 A stunning example of an early vintage 'Telegraph Office' enamel sign by Bilston. A fantastic piece with a great 'pointing hand' which really sets this one apart from the competetion! Would have been used on a railway station platform & displays beautifully. Wear commensurate with age as pictured, unrestored & pretty much as good as you'll find with a wonderful gloss.